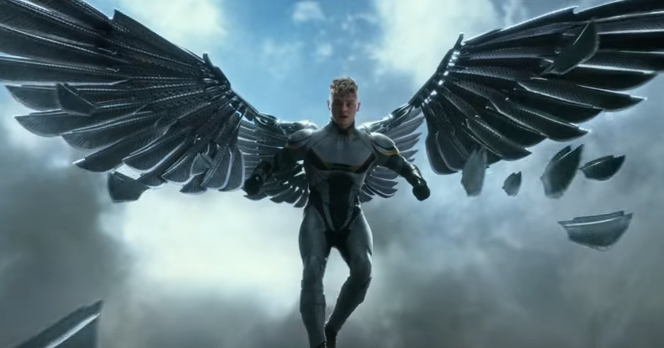 Even if you're not crazy about the look of Apocalypse (Oscar Isaac) and who could blame you, this new trailer for X-Men: Apocalypse is wall-to-wall action and looks incredible. It follows the rise of Apocalypse and his Four Horsemen as they threaten "to cleanse mankind." Raven (Jennifer Lawrence) and Professor X (James McAvoy) assemble a team of young mutants including Psylocke (Olivia Munn), Quicksilver (Ethan Peters), Storm (Alexandra Shipp), and others to go to war. Although after watching the trailer I'm left wondering "Where's Jubilee?"